Good book for the individual that is new to Social Media and Blogging. 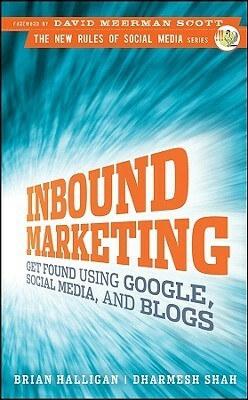 "Inbound Marketing" covers the essential topics in clear and easy to understand manner that is easy to read. If you already have Facebook and Twitter accounts and you know about Digg and other bookmarking sites, this may not be the book for you. Since the authors clearly know much more in-depth information than what is shared in this first book; I hope they get around to writing a second one for people with more social media experience. Sign into Goodreads to see if any of your friends have read Inbound Marketing.